On your Private Naples to Pompeii shore excursion travel to Ancient Pompeii to explore the well-preserved ruins that date back to 80 B.C. 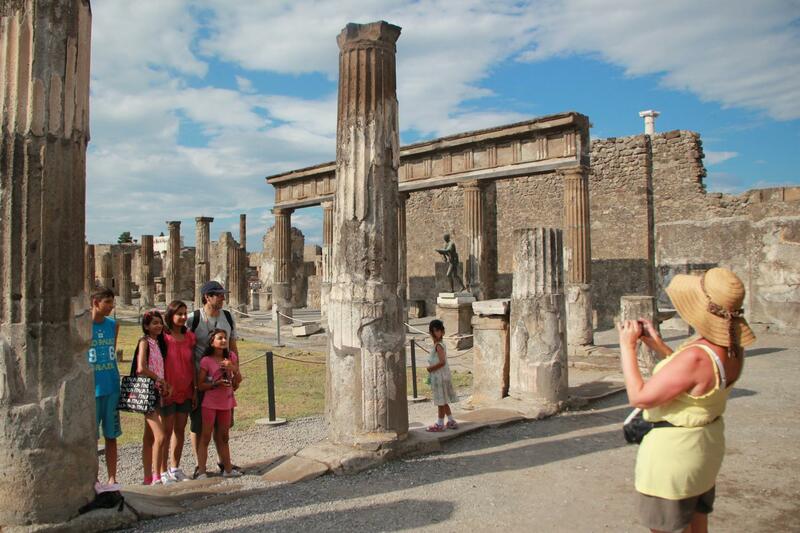 Your local expert guide will bring to life the remains of Pompeii that will include many insights into how life was in Roman Times. The excavations at Pompeii have brought to light about three quarters of the city which covered some 66 hectares and that once boasted a population of around 20-to-30 thousand inhabitants. 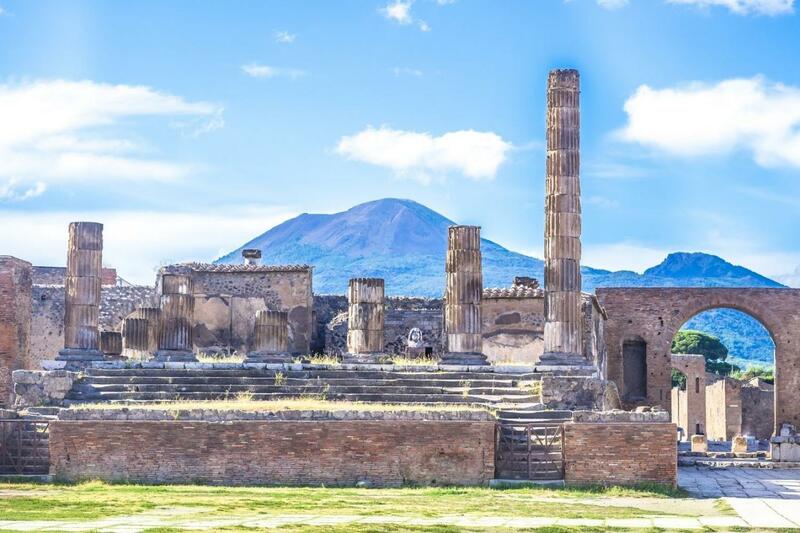 With such a vast area to explore we will concentrate on the highlights of Pompeii, as part of your Naples to Pompeii Shore Excursion. As part of your Naples to Pompeii shore excursion enjoy a walking tour of Pompeii that will include: visits to the interiors of the homes of Pompeii's wealthier citizens, Ancient street where locals dined and where you'll learn about traditional Roman cuisine, the amphitheatre where we'll talk of the Gladiators and the events staged in the arena. As well as enjoying numerous anecdotes about life in Pompeii that will include some of the Graffiti dating back to Roman times that are still visible throughout the ruins. Your shore excursion of Pompeii continues with a visit to the Ancient Forum, Pompeii's centre for religious, civil and economic life (the major public offices were located here) where we'll walk through the ancient Macellum which was a covered food market that occupied a corner of the forum. Of the three different areas, the central section was intended for use by the imperial house, those to the sides for the sale of meat, whilst an area in the middle was for the cleaning and sale of fish. One of the most interesting aspects of Pompei is it's pictorial decoration. On your Naples to Pompeii shore excursion you will visit the Casa Dei Vettii to see the splendid frescoes, statues and decorations from ancient times. The house belonged to two rich merchants and with the narration of our expert local guide you will be able to visualize how life was conducted inside these Roman houses. Along with learning about the early beginnings of Pompeii before the Romans, the influence of Greeks on Pompeii's architecture and how the eruption of Vesuvius changed the landscape forever you will enjoy a full and detailed visit to the ruins of Pompeii with one of our local expert guides as part of your Naples to Pompeii shore excursion. 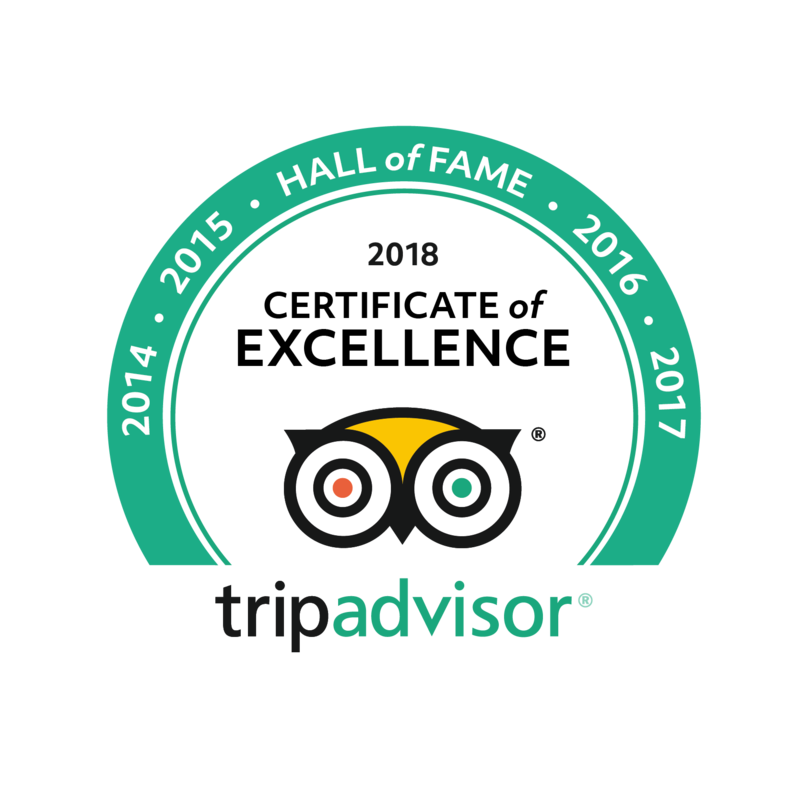 Please specify in the booking name of your hotel in Naples or Sorrento. In case of cruise ship, please specify also port of call.